In 1987 when Gary Hart was The Front Runner Democratic candidate for President, Stewart (Stewart) and I (Dena Stewart) were living on Miami Beach. We followed the News about his political campaign and we read The Miami Herald, daily. Typical of Miami and its propensity to somehow be connected to every kind of scandal, Gary Hart’s nightmare began the weekend he spent aboard the Miami-based chartered yacht named Monkey Business. The newly released movie THE FRONT RUNNER follows the headlines of that time … That just before Monkey Business was to take off to Bimini, two women were brought on board. While the boat was docked in Bimini, one of the women took a picture of Gary Hart sitting on the pier, with the other woman, Donna Rice, sitting on his lap. A month later, the man who had originally invited Gary Hart onto the yacht brought the same two women to Washington, D.C. where Gary was staying and campaigning. The Miami Herald had received a tip about their visit and staked out the front of Gary Hart’s house. Caught in the act of having his privacy invaded, Hart angrily, arrogantly, and sarcastically, invited the press to follow him around. The Herald reporters, wanting to believe there was a hidden flaw in his otherwise ideal personality, saw Hart’s statement as a dare, and accepted his challenge. One night, while on their stakeout, seeing Donna Rice and Gary Hart going into the house and not coming out, the reporters concluded they spent the night together and reported it as a major scandal. What the reporters didn’t know at the time was that the house had a back door and their allegations couldn’t be proved … But someone was out to get him! That damning picture of Gary Hart with Donna Rice on his lap appeared in the National Enquirer. Gary Hart’s character and honesty became a political trust-issue. After all, this was 1987. Gary Hart was a married man with two children! Americans expected their President to be a role model of morality! So, these unproven allegations of an extramarital affair caused an otherwise-favored Presidential candidate to leave the race! If you were around during that moment in History, there isn’t much new to learn about the real Gary Hart from THE FRONT RUNNER movie, aside from the fact that his wife knew about his affairs and they are still married (55+ years together). 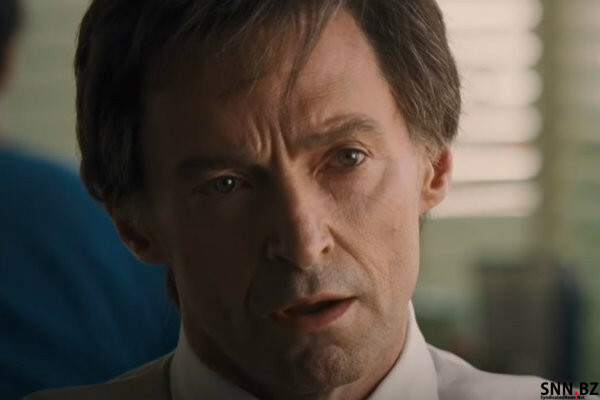 And Hugh Jackman portraying Gary Hart was excellent casting. Also, this movie is very timely. It got me thinking about then and now. Now, in 2018, while in this #MeToo era, would Gary Hart, a handsome Yale graduate, a prominent Attorney, a Senator, be judged as harshly as he was then in 1987, or would his perceived indiscretions be forgiven?